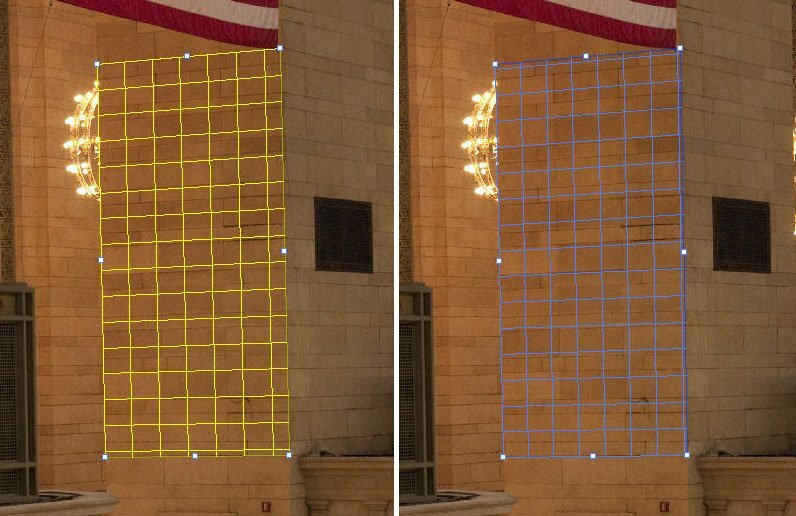 Yesterday, I covered the basics of using the Vanishing Point Filter. Did you know that you can create multiple planes? 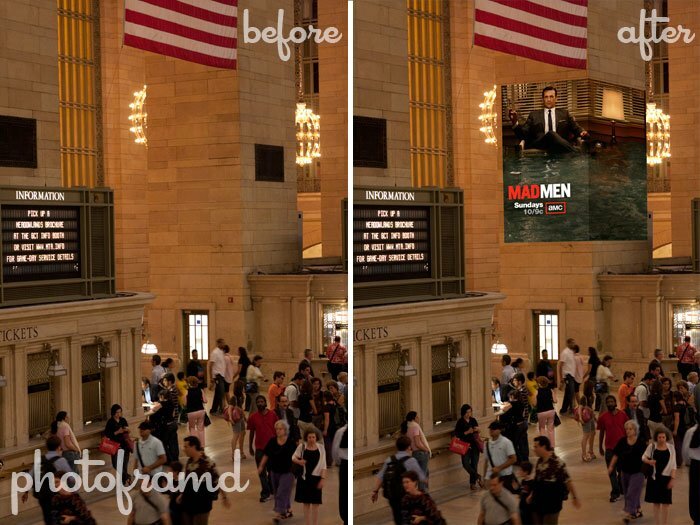 Perfect to simulate one of the hottest trends in NYC — wrap-around movie posters. Just like yesterday, the first step is to duplicate the original image for use in the Vanishing Point Filter. 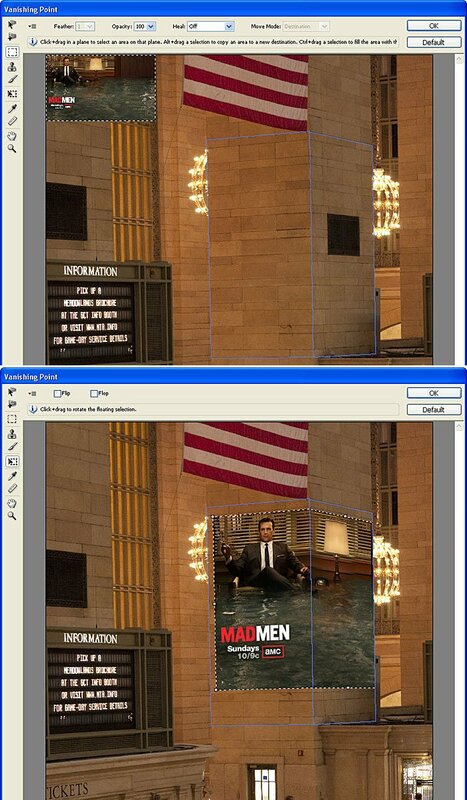 I found my “movie poster” as the background on Mad Men’s Official Twitter Account. 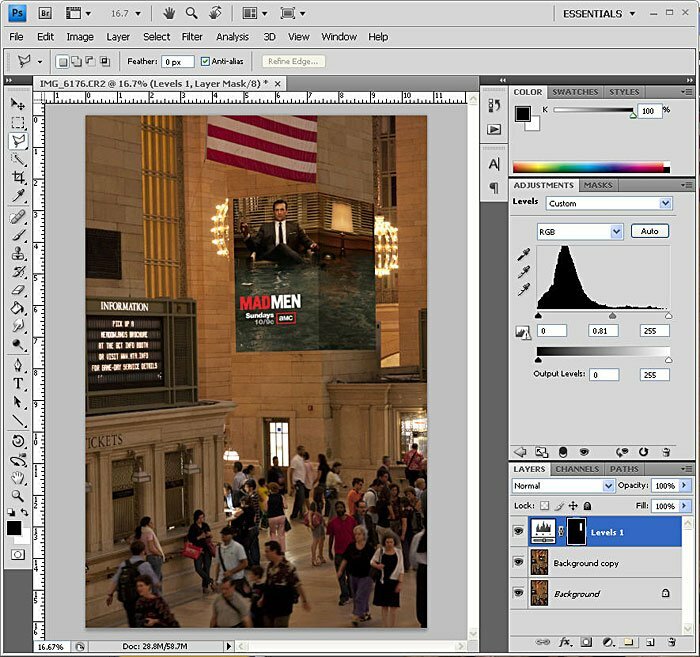 I selected a portion of the Mad Men image and Copied (Control-C or Command-C) BEFORE launching the Vanishing Point Filter. 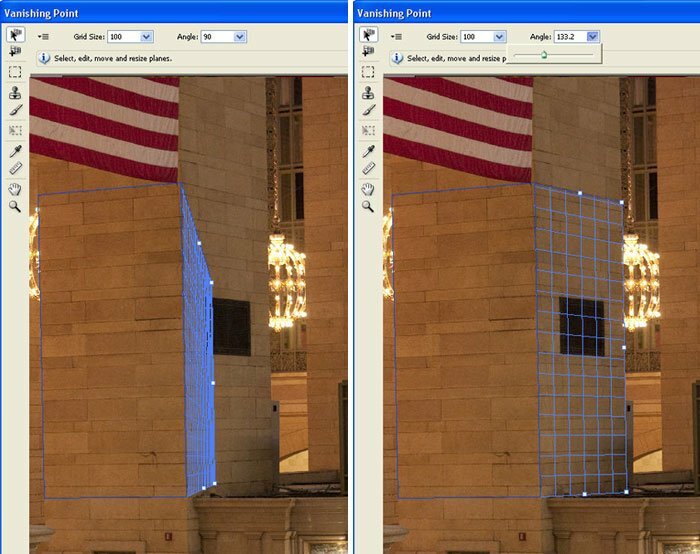 Using the Create Plane Tool, I defined the 4-points to set the boundaries of the plane. Unlike yesterday, this time the plane turned yellow, meaning Photoshop has a problem with the newly created plane. I just pulled on one of the points and the plane turned blue. With the first plane properly defined, another set of points (midway points) appear between each of the 4 previously created points. Using the Create Plane Tool again, you can now drag-out additional planes from those midway points. These new planes are attached to the original plane and continue the relationship with the original plane in 3D space. I pulled out an additional plane from the right side, but the angle was not right. Using the Plane Angle Tool, I altered the angle to match the correct perspective of the brick column. With the Plane defined, simply Paste (Control-V or Command-P) the previously copied selection into the Vanishing Point Filter. 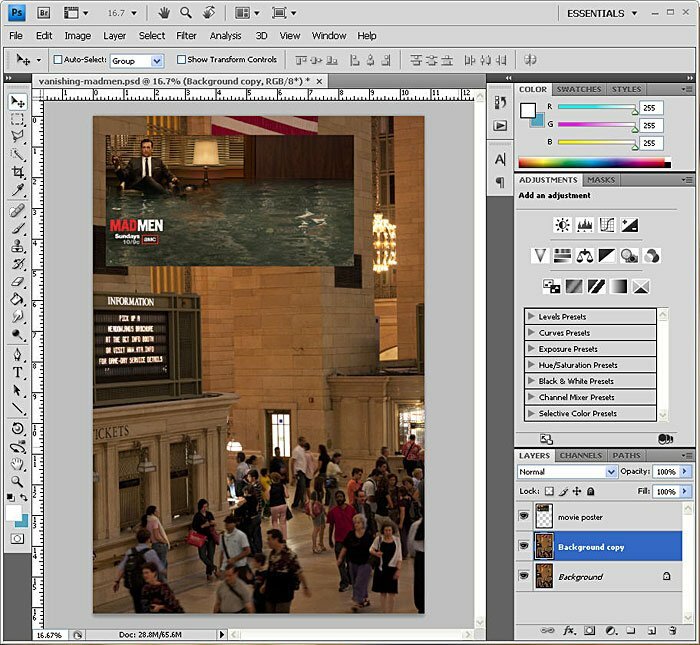 The selection will appear as a floating layer in the upper left corner. I next dragged the selection onto the defined planes. The selection will automatically wrap-around the planes. Using the Transform Tool, I sized the selection to the proper size. Once completed, I just clicked OK to apply the Vanishing Point Filter to the duplicate layer. Again, there is no way to alter the effect in Vanishing Point Filter. In this case, one side of the poster needs to be darkened to match the shadow on the real brick column. I created a selection to isolate the side of the poster and used the Levels to dark the side. The final effect is very natural with the correct perspective.